The condom or push method is the process where you take a silicone cartomizer cap with no center post on the inside of it and fill it with e-liquid. Basically a silicone bowl. Fill the cap with 10-15 drops of e-liquid. 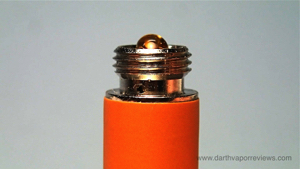 Slowly push the cartomizer, connection end first into the e-liquid filled cap until it reaches the bottom of the cap. Blow out any extra e-liquid into a paper towel and clean the end of the cartomizer where it connects to the battery. The Drip method is probably more common and it requires dripping e-liquid into the cartomizer from the top. 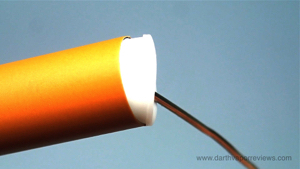 If you're using Blank or Prefilled cartomizers, then they will have a soft cap that can easily be pried off with a paperclip or straight pin. If it's a disposable (Prefilled) cartomizer, then usually it's a plastic cap that clicks on. With a little effort a paperclip or thumbtack can snap it off. If it's glued, you may have to use something stronger like a drill bit. 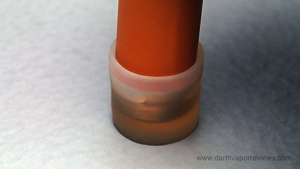 Once you get the cap off, on some brands, you will find a silicone ring that you will need to remove. Tilt the cartomizer at an angle and begin dripping about 20-25 drops of e-liquid around the sides avoiding the center hole. When the polyfil material remains damp, your cartomizer is full. 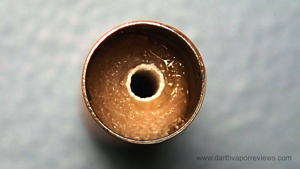 If you accidentally get some e-liquid in the center hole, just blow the excess into a paper towel and clean the end connection with a papertowel or Q-tip. 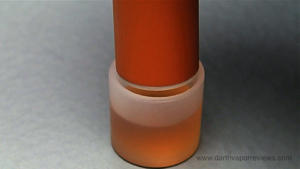 Replace the silicone ring if it's included and re-insert the top cap. It will snap back on. Wait a few minutes for the e-liquid to soak into the filler material before vaping. If you get a burnt taste or the polyfil material has brown spots, then the cartomizer is trash. Don't waste your time refilling these as they will taste nasty and will waste e-liquid. If you enjoy vaping with analog electronic cigarettes or cig-a-like style batteries, then you know buying cartomizers/cartridges over time can get very expensive. A cost effective way around this problem is refilling electronic cigarette cartomizers. There are two main methods: The Push and the Drip. 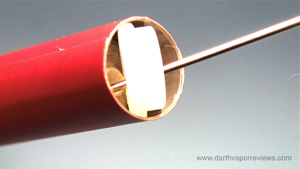 Disposable cartomizers are fitted with shorter lasting atomizers so they will only last a few refills before going bad. Your best bang for the buck is to buy Blank cartomizers because they are designed to last much longer. They are also usually higher quality atomizers so you get a much better vaping experience. Remember to always disconnect your cartomizer from the battery before refilling because you can fry your battery. Make sure no excess e-liquid is leaking from the bottom before reconnecting the cartomizer to the battery. 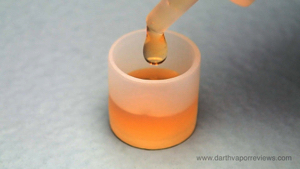 Higher PG base e-liquids will perform better because VG bases are thicker and can clog up the cartomizers. If you're using a disposable cartomizer, do your best to refill with a complimenting flavor to avoid a bad flavor combination. I hope this tutorial helps those of you looking to extend the life of your cartomizers. May the vape be with you! * Halo Cigs - Blank and Prefilled. * V2 Cigs - Blank and Prefilled. * blu eCigs - Prefilled. * ePuffer - Blank and Prefilled. * V4L (Vapor for Life) - Blank and Prefilled.